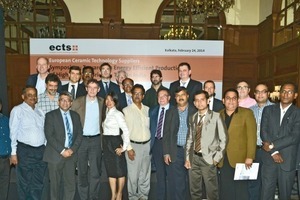 Under the title “Toward an Energy-Efficient Production of High-Quality Bricks & Tiles in India” a delegation of 11 European companies presented technical solutions for energy-efficient production of high-quality bricks and tiles to the brickmaking industry from West Bengal, Jharkhand, neighbouring states in eastern and north eastern region and Bangladesh. The one-day seminar was held on 24 February 2014 in Kolkata and was attended by 130 participants, including the Presidents of the All India Brick & Tiles Manufacturers’ Federation, the Bengal Brick Field Owners’ Association and the Jharkhand Pradesh Brick Manufacturer Association. 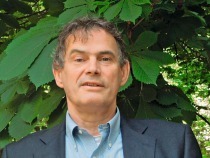 Dries van Hapert from company De Boer who was head of the delegation commented that the event had been very successful: “I feel that this was another major step for the European ceramic technology suppliers in their efforts to establish business in India.” He felt that the audience was knowledgeable about the industry and that local brick makers were now more open to the idea of implementing mechanization in brick making: “This can be of benefit for the ECTS members.” The local heavy clay industry offers a big market. It is estimated that over 200 bill. bricks are manufactured every year. 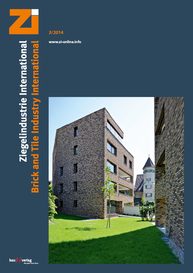 The estimated market size of the brick industry is worth approximately € 17.5 bill. The symposium started off with a welcome address from Rajesh Nath, Managing Director, VDMA India followed by the special address by Harish Kr. Rohra, President, All India Brick & Tiles Manufacturers’ Federation and an address by Uttam Kr. Roy, President, Bengal Brick Field Owners’ Association. Speaking on behalf of the European delegation, Dries van Hapert, Chairman of ECTS welcomed the attendees. Commenting on the problems faced by the brick industry, Harish Kr. Rohra and Uttam Kr. Roy mentioned that the environmental issues and strict stand of the government against depletion of top soil is a major concern for the brick manufacturers. Other factors affecting the industry are increasing costs for labour, transport, and raw materials, while brick and tile prices are stagnating. Also banks are not forthcoming to extend credit facility to brickmakers owing to the unorganized nature of the industry. The programme was divided into three sessions: The first session was on preparation and shaping equipment with presentations from Bongioanni Macchine, De Boer/Damle, Talleres Felipe Verdés and Tecnofiliere. 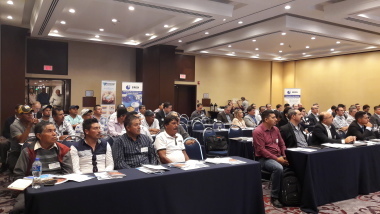 The second session focussed on ­complete plants and there were presentations from Beralmar Technologic, Ceratec and Ceric Technologies. The third session was devoted to heat treatment and included presentations from Bernini Impianti, Elster Kromschroeder, Forgestal and Refratechnik Ceramics. During the breaks the attendees had ample ­opportunity to ask questions and discuss specific aspects in depth with the European company representatives. 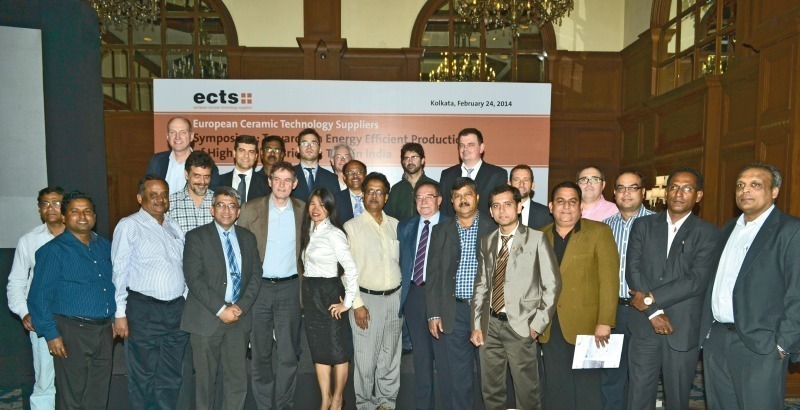 The symposium was the third event of this kind held by ECTS in India, following on from previous events in Bangalore in 2012 and in Chandigarh and Varanasi in 2011.